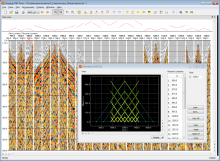 GEOGIGA SEISMIC PRO 8.1 is a complete seismic data processing software package adapted to near-surface geophysics. It contains 16 standalone applications handling the full range of seismic exploration methods from Reflection, Refraction, and Surface Wave to Borehole Seismic. 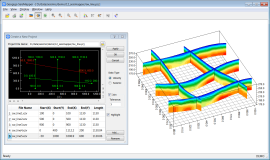 There are also utilities for Vibroseis correlation and wavefield modeling. FRONT END is designed to preprocess single shot record. 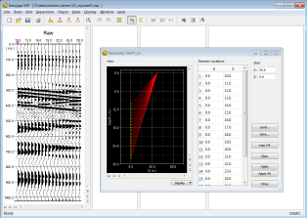 You can convert data formats, assign geometry, shift and swap seismic traces, filter and scale seismic data, and more. 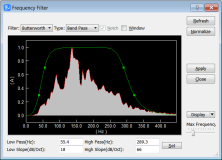 Several batch commands are available, such as data resampling, trigger delay correction, vertical stacking, and Vibroseis correlation. FRONT END is freeware. You are welcome to download, use, and distribute it. SEISMAPPER plots velocity sections or seismic stacks in 2D section and 3D fence. The velocity sections are displayed with colors, contours, and editable lithologic symbols, while the seismic stacks can be viewed with wiggle or color density. EFIT allows you to load or interactively define a velocity model and fit the synthetic refraction and reflection curves to the corresponding events on seismic records. MODELING generates synthetic surface waves, refracted, reflected and air waves based on a layered velocity model. 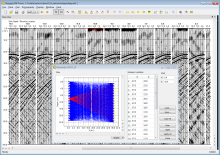 REFLECTOR is an all-inclusive standalone application designed for seismic reflection survey. All the processing modules are integrated to speed up the process without workflow interruptions. The multi-step undo and redo functions make it easier and more efficient to tune the processing parameters. The high level of interactivity enables full control over the data processing and ensures higher quality. SF IMAGER is mainly used to process optimum offset seismic reflection data. It provides filtering, random noise attenuation, and deconvolution to improve the S/N ratio. You can import or pick velocities, migrate the time section, and generate a depth profile. SF IMAGER is also used to process the ground penetrating radar (GPR) data. 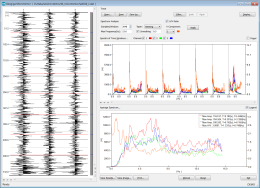 REFRACTOR provides the intercept time method, delay time method, ABC method, and generalized reciprocal method (GRM) for seismic refraction surveys. You can automatically or manually pick first breaks, easily assign first arrivals to layers, and quickly phantom time-distance curves. The velocity and elevation may vary along a profile and there are no limits on the number of layers. Refraction Tomography does not require layer assignment and phantom time-distance curves. The complex velocity structure can be directly estimated from first arrivals. This approach is especially suitable to derive the structure with no distinct layer interface due to the gradual velocity change where the traditional refraction interpretation methods are invalid. DW TOMO utilizes the robust grid ray tracing and regularized inversion with constraints in tomography. The estimated velocity model can also be used for static correction in seismic reflection data processing. DW TOMO3D utilizes the robust grid ray tracing and regularized inversion approach to derive 3D velocity structure directly from first arrivals in 3D seismic surveys. SURFACE is able to process active surface waves with SASW and MASW. The dispersion spectrum can be calculated in F-K, F-V, or F-P domain, where the fundamental and high-mode dispersion curves are interactively picked. The robust forward modeling and the global genetic algorithm (GA) assure the quick convergence of inversion. SURFACE PLUS can handle both active and passive surface waves with any shape of geometric layout. 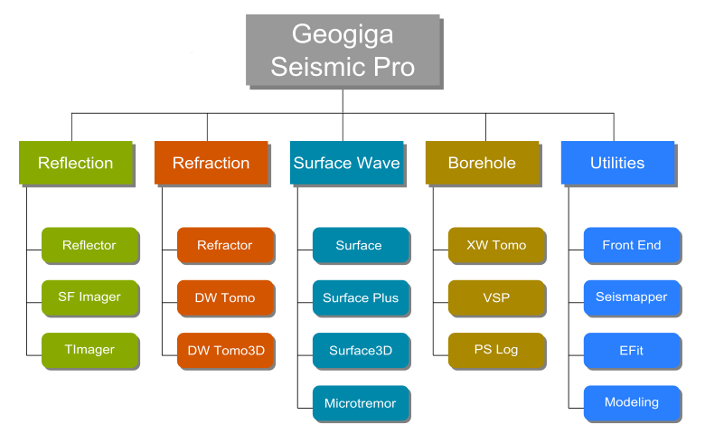 It contains all the features provided in GEOGIGA SURFACE and includes SASW, MASW, REMI, SPAC, and ESPAC. 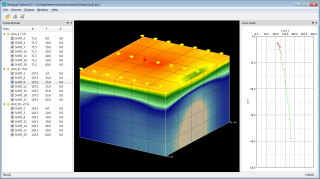 SURFACE3D loads dispersion curves generated from SURFACE or SURFACE PLUS and then plots the velocity volume as a cube or fence in 3D surface wave surveys. MICROTREMOR uses spectrum analysis to get the predominant period and frequency of a site from ground motions. The amplitude or power spectrum and H/V spectral ratio can be plotted together. The velocity between wells can be estimated with travel time. Based on the grid ray tracing and regularized inversion approach, XW TOMO is capable of deriving the velocity structure among multiple vertical or deviated wells, while also allowing ground-surface variation. VSP can handle the zero-offset and offset VSP surveys. It uses the F-K or median filter to separate upgoing and downgoing waves, and then deconvolves the upgoing waves by applying a wavelet designed on the downgoing waves. Finally, it builds a corridor stack, or VSP-CDP mapping. 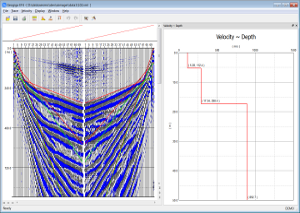 PS LOG is designed to efficiently process data in well velocity surveys. After the depth of receivers and the direction of a shot are defined, first breaks can be picked with the mouse button on P and S waves simultaneously in the analysis window. Meanwhile, the interval velocity, average velocity, and Poisson’s ratio are automatically updated. RTOMO handles resistivity and IP data in a 2-D electrical imaging survey. It supports Wenner, Dipole Dipole, Pole Dipole, Pole Pole, Schlumberger, Wenner-Schlumberger, and other general arrays. Bad datapoints can be interactively removed, or deleted using a median filter, alpha trim, or average filter. The high-resolution topographic correction method and robust tomography approach assure the high processing quality. 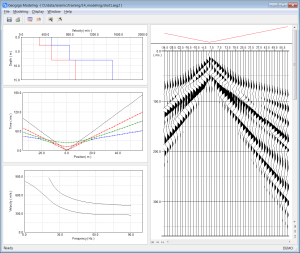 RVIEWER plots resistivity and IP data in 2D section and 3D fence with colors, contours, and editable lithologic symbols. Any sections may be selected to be displayed from a section map, and adjacent sections can be automatically joined. A 3D fence can be rotated and panned with the mouse, and the animation of the fence may be viewed.